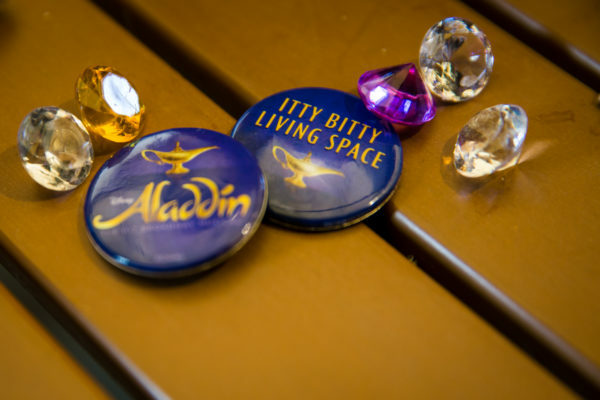 Did you know that you could perform on the same Broadway stage that is home to Aladdin the Musical in New York City? That’s right, you have the opportunity to dance with your studio on one of the most iconic stages in Broadway history and a place that most dancers only ever dream about – the New Amsterdam Theatre on Broadway and 42nd Street! 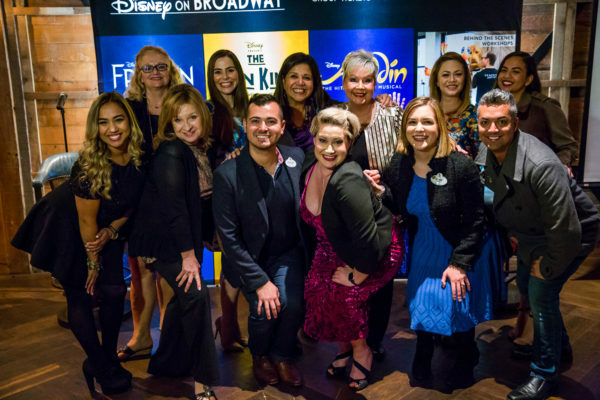 Dance the Magic offers two separate Broadway events throughout the year – one during the summer, and one during the holiday season – both filled with incredible performance opportunities for you and your dancers that are second to none. The New Amsterdam Theatre opened in 1903 and was described as “the house beautiful” thanks to its lavish Art Nouveau design and decoration. Not only is this theatre of historical significance to live theatre as a whole, it also has a particular significance to The Walt Disney Company as well. 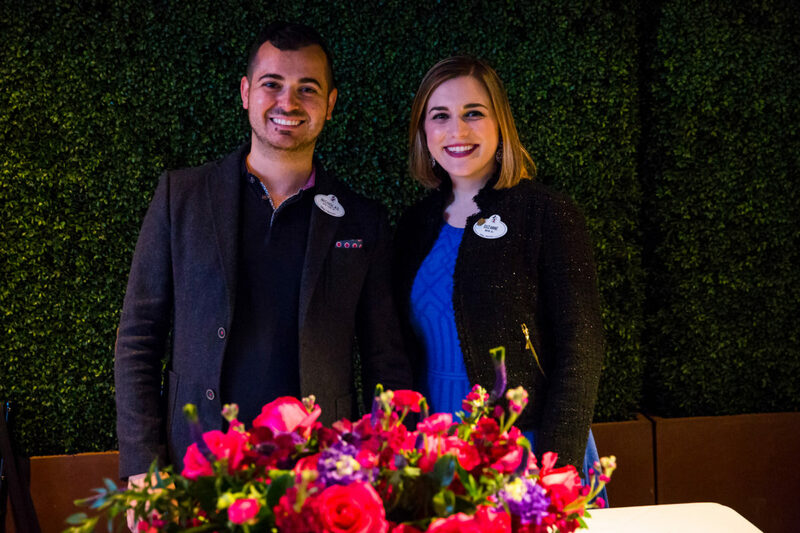 In 1992, Disney invested $36 million dollars in the theatre to aid in restoration of the iconic building and with it received a 49-year lease on the property to be the new home of some of the yet to be realized Disney Broadway Musicals. 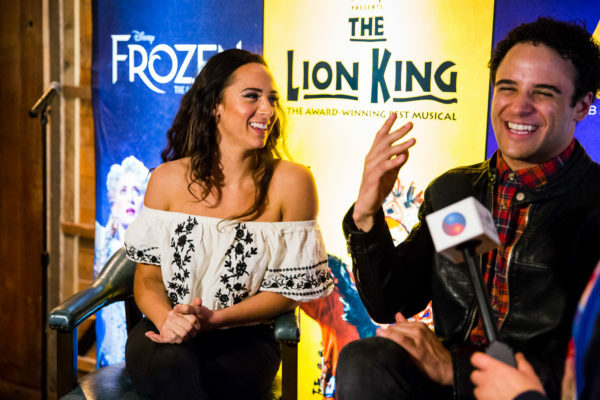 The first of the beloved musicals to hit the stage at the New Amsterdam Theatre was The Lion King in 1997, which performed to sold out houses until 2006 when it was moved to the Minskoff Theatre. 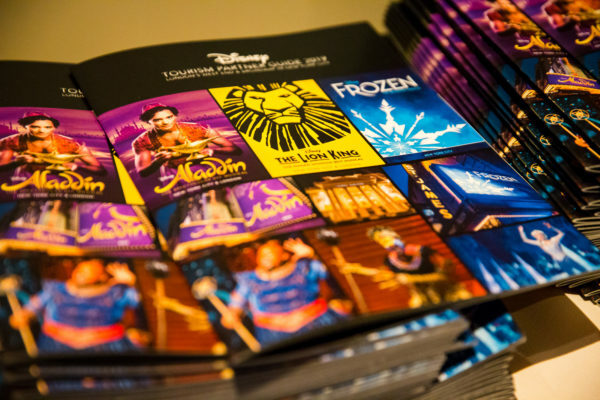 Following The Lion King, the New Amsterdam Theatre was home to Mary Poppins from 2006 – 2010, and is currently home to the acclaimed Aladdin the Musical. 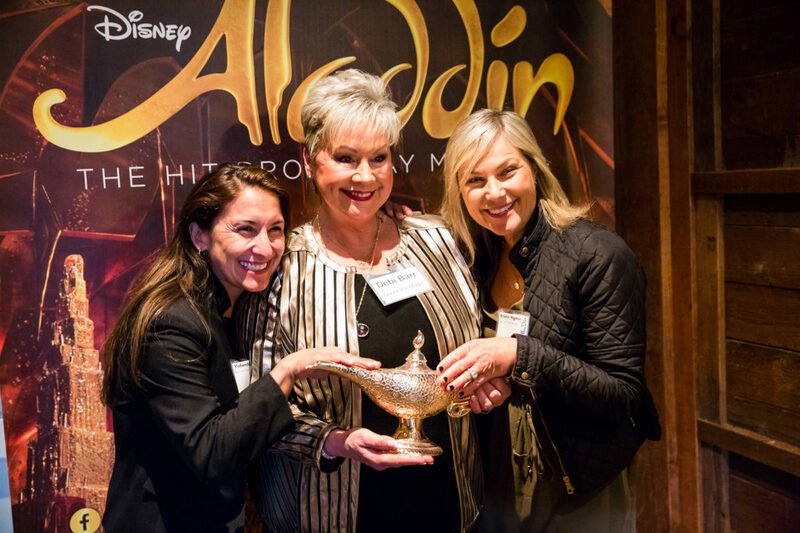 Thanks to our partnership with Disney Theatrical, the entire Dance the Magic team was invited to see the touring production of Aladdin the Musical a little closer to our Orange County, CA offices at the Segerstrom Center for Performing Arts. 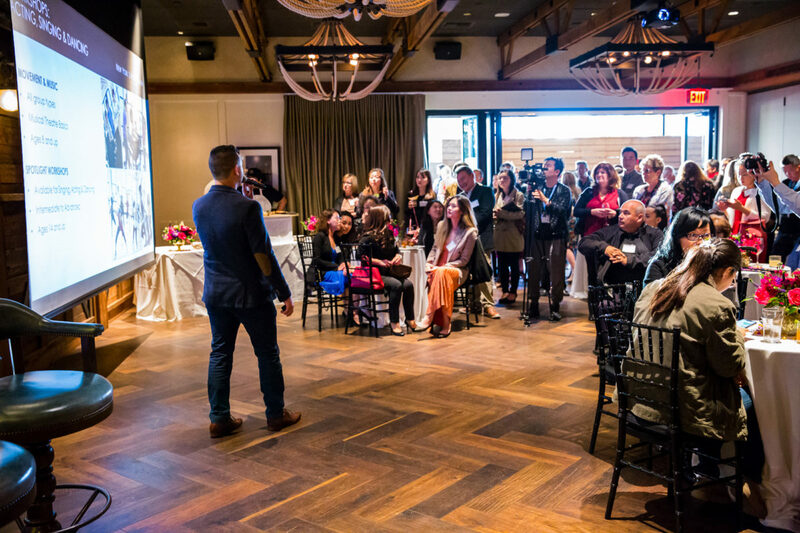 We had the opportunity to attend a reception before the show to learn a little more what the Disney Theatrical and Disney Youth Sales teams have planned for their clients for 2019 and beyond. To say we’re excited for what’s to come is an understatement. During this reception we also had the chance to meet with two stars of the national tour production, Lissa deGuzman who plays Princess Jasmine, and Clinton Greenspan who plays Aladdin, for a question and answer session. The Cast Members shared their experiences of performing on a national tour as well as words of advice for young up-and-comers who hope to one day make their stage debut. 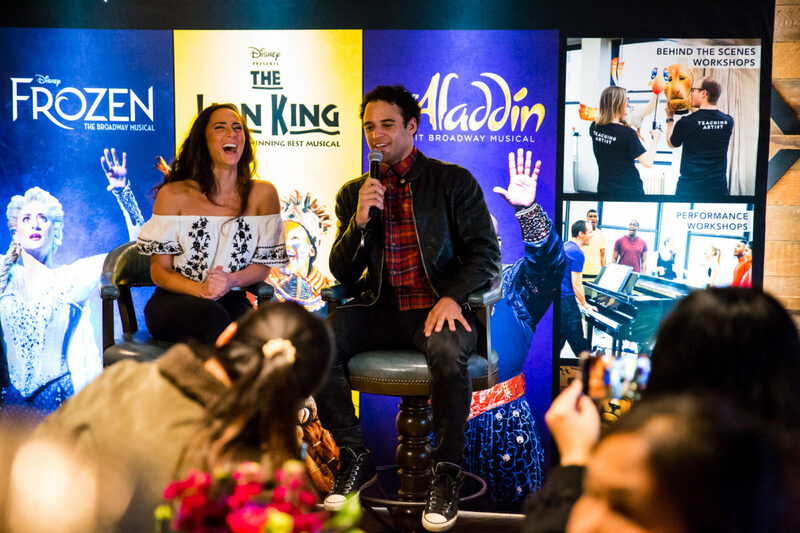 When asked for that one piece of advice that will aid a performer’s journey the most, Clinton (Aladdin) responded, “No doesn’t mean you can’t.” He revealed that it was almost a year after he auditioned for the role that he received notice he would be joining the national tour of Aladdin. Perseverance is key as a performer as plenty of “no’s” will come before a “yes”. 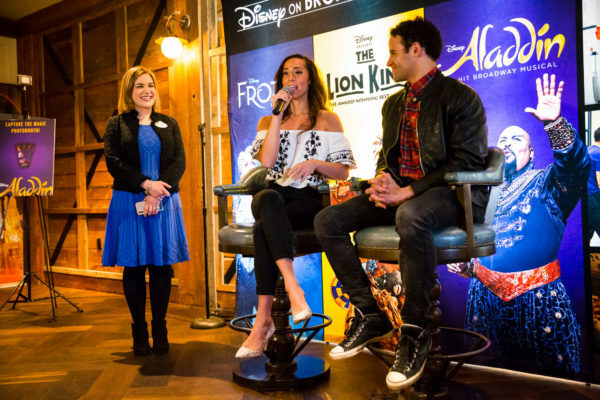 When asked the same question, Lissa (Princess Jasmine) responded, “Kindness goes a long way”. She then went on to say that it is important that you treat everyone with kindness and respect, as that is an easy way to leave a lasting impression. 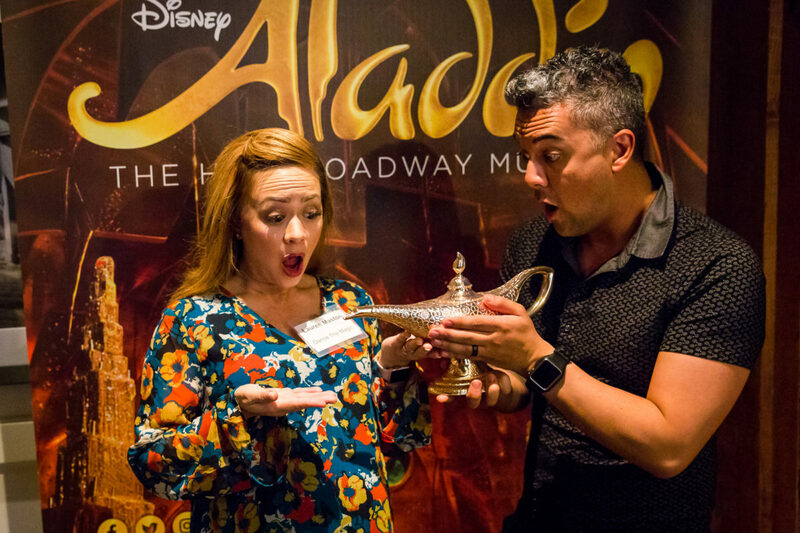 These added “surprise and delight” moments that our Disney Theatrical partners shared with us as their clients and guests are the same type of fun surprises that we love to incorporate into our Dance the magic events for all of you. Aladdin the Musical is an incredibly fun adaptation of the animated classic and definitely one you don’t want to miss out on. We may have seen the remarkably talented National Tour Production, but if you join us for one of our Dance the Magic Broadway events you will have the chance to not only see the Broadway production of the show, but also dance on the very same stage at the New Amsterdam Theatre! This is a “wish come true” opportunity that you don’t want to miss! 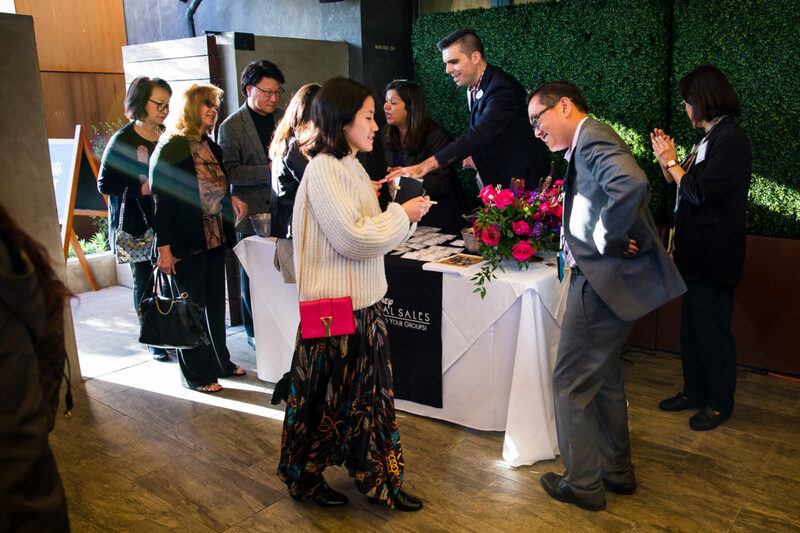 We are currently booking for our 2019 Summer and 2019 Holiday Broadway events and we’d love for you to see your name in lights! For more information, please contact our Broadway Event Specialist, Paula, at paula@dancethemagic.com. We can’t wait for you to experience the magic of Disney on Broadway! 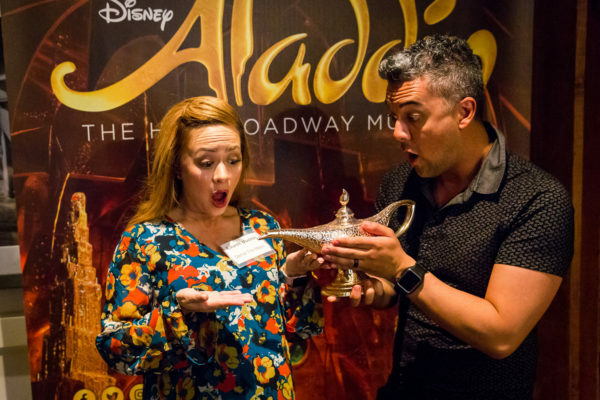 This entry was posted in Blog and tagged Aladdin the Musical, Broadway, Broadway Holiday Celebration, Broadway In Summer, Dance the Magic on Broadway, Disney on Broadway, Disney Theatrical, New Amsterdam Theatre, New York.